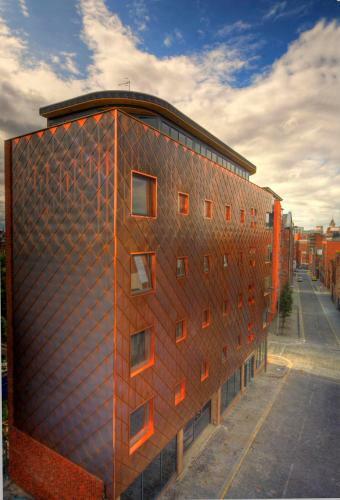 Staycity Duke Street is a popular, great-value serviced apartments aparthotel in Liverpool city centre. Located just 350 yards from the popular Liverpool One shopping mall, the apartments are furnished to a high standard and offer free wifi access and there's parking available on site. Each apartment has a stylish fitted kitchen with range of appliances and a spacious open plan living room area. There's 56 apartments in total at this aparthotel, able to accommodate 3-6 guests. A 24 hour reception desk is there to greet you and answer any questions.